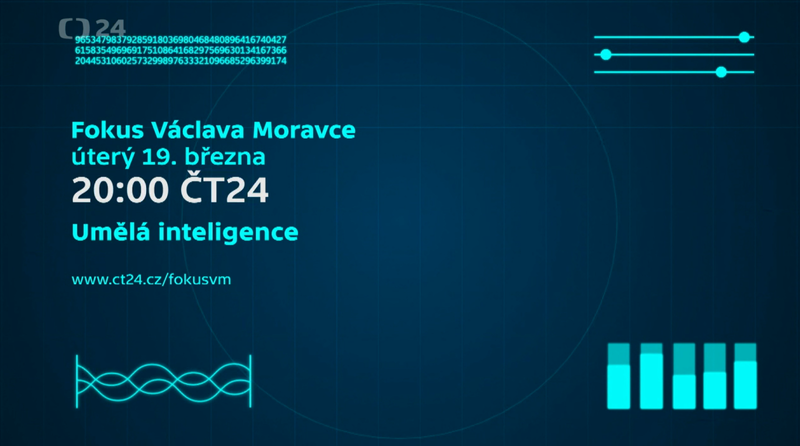 Michal Pěchouček, head of our depatment, was invited as a guest to Fokus Václava Moravce! 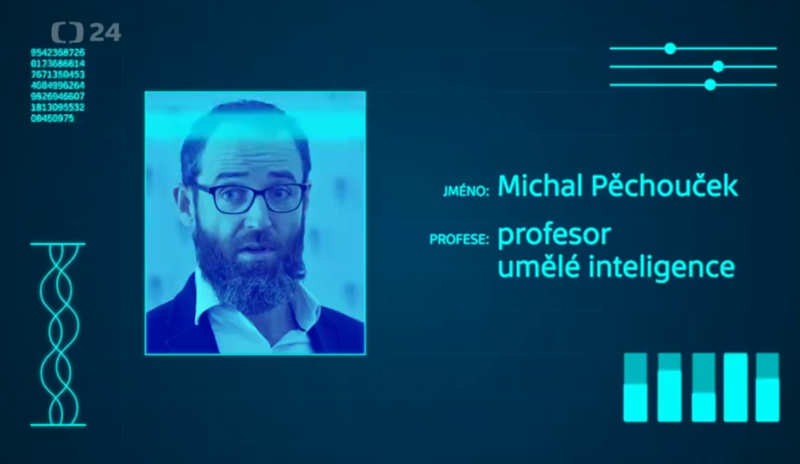 The topic is Artificial Intelligence and many interesting guests accepted the invitation as well - sexuologist Kateřina Klapilová, cybernetics scientist and philosopher Jan Romportl, scientist Tomáš Mikolov, lawyer Alžběta Krausová and linguist Karel Oliva. Plus all the footage of the trailer with machines (humanoid, dron, hexapod, and robot solving Rubik's cube) was shot at our Faculty of Electrical Engineering. Thank you everyone for cooperation! The show will be broadcasted live on CT24 on March 19, 8:00 p. m. from National Technical Library. Tune the channel and join us in watching!